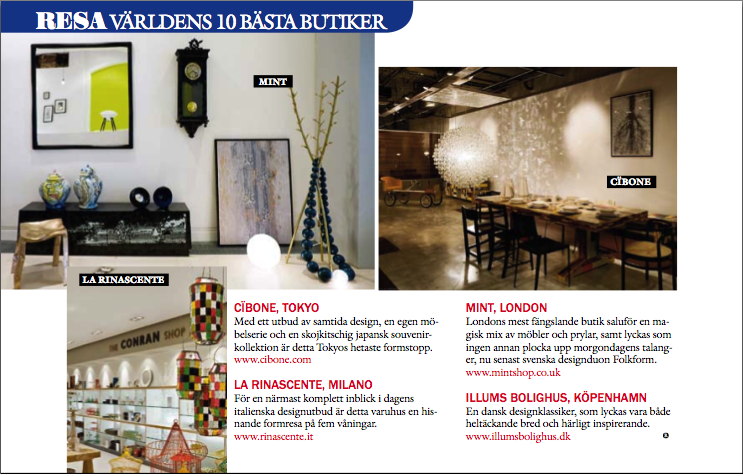 Mint is pleased to announce it has been named as one of ’10 Best Interior Shops in the World’ by Swedish design magazine Residence. 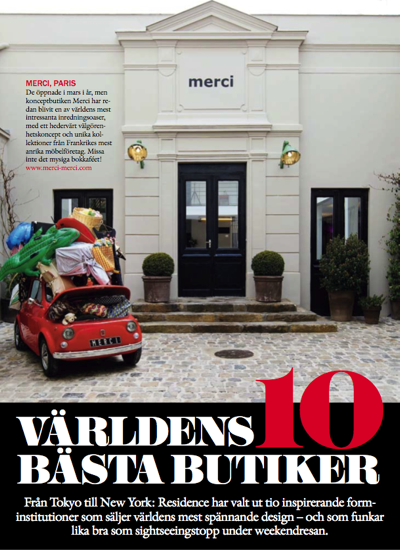 This is the second time we have been selected for this title, the first was from Elle Decoration in October 2008. This is very special to mint because on both occasions we were the only design shop in the UK to be named! 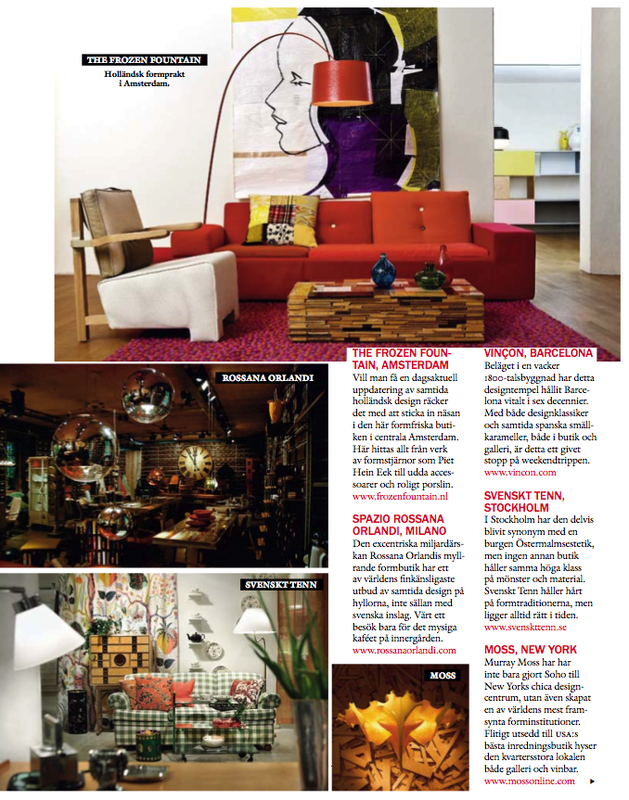 We want to take this opportunity to thank Sofia Tufvasson, Editor at Residence, for including us in this listing. Other shops selected in this category included Merci in Paris, The Frozen Fountain in Amsterdam, Moss New York and Spazio Rossana Orlandi in Milan. Visit our blog archives to see which awards mint has received over the years. Stay tuned for more exciting news coming very soon.